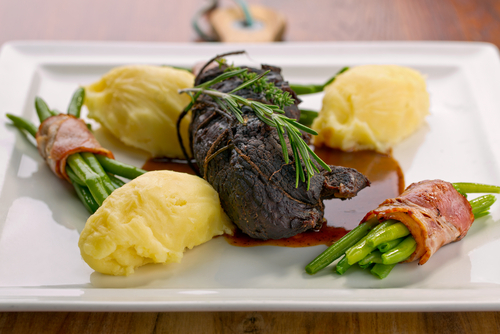 Beef cheeks are becoming more and more popular as celebrity chefs use them looking for something different. To cook beef cheeks get your butcher to skin them and cut them into large squares. Place 2 skinned and cut beef cheeks in a casserole dish with 1 large onion diced, 2 garlic cloves finely sliced, 1 large carrot diced, 1 sprig of chopped corriander & sprig of thyme, 1 bay leaf, tablespoon of black peppercorns, bottle of dark ale and 250 ml of beef stock. Cook for three hours with lid on. Yum, Yum.